Bed wetting we all know is something uncool. People who bed wet and everyone around them are usually uncomfortable! They both live in fear of waking up to a wet bed! 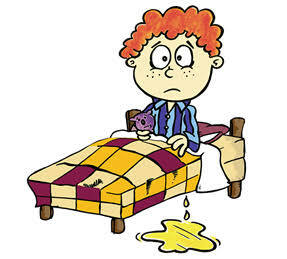 Bed wetting can be found in children and ADULTS (yeah) and this can damage the child or adult's self-image and confidence. The best way to prevent demoralization is for the people around these people to be supportive. Parents and siblings should reassure the child (or adult) that bed wetting is a common problem that has a strong genetic component and that they are confident that the child (or adult) will overcome the problem. 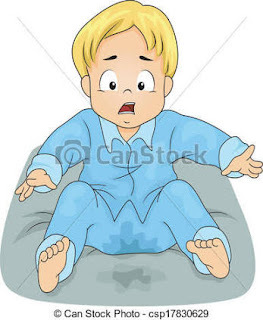 Since no one can say what causes bedwetting, it's okay to learn what can be done! While a lot of people still struggle to cope with this issue, its nice if they are given tips and support to help them cope with bed wetting. Coping with the issue should be done by both the child (or adult) and the parents or family. 1. Focus on the problem not the person. 2. Avoid blaming or punishing the person. 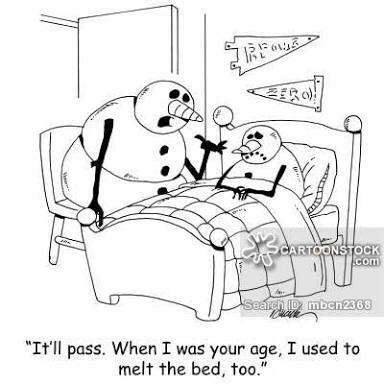 Remember, they cannot control the bed wetting, and blaming and punishing will just make the problem worse. 3. Be patient and supportive, reassure and encourage the person often. 4. Do not make an issue out of it each time it happens. Tell them they would eventually outgrow it. 5. Enforce a "no teasing" rule in the family. 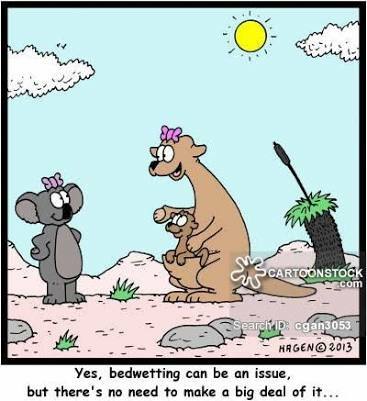 No one is allowed to tease the person about the bed wetting, including those outside the immediate family (if they know). 6. Most importantly, do not discuss the bed wetting in front of others. 7. Encourage responsibility by making them understand that the responsibility for being dry is his or hers and not that of others around. 8. Reassure them that you want to help him or her overcome the problem. 9. Make clean-up easy to increase comfort and reduce damage; use washable absorbent sheets, layer sheets among waterproof bed covers, and use room deodorants. In addition, have them help in the clean-up process. 10. Instead of focusing on making it through the night dry, help them understand that it is more important to wake up few times at night to use the toilet. Make sure they have easy access to the toilet. Clear the path from his or her bed to the toilet and install night-lights. Provide a portable toilet if necessary. 11. Reward them for remaining dry if possible. Rewards works for some children and may encourage them to have more dry nights. 1. Reduce evening fluid intake by avoiding drinks in the two hours before bedtime, especially drinks such as tea or sodas that contain caffeine. 2. Go to the bathroom before getting into bed. 3. Set a goal of getting up at night to use the toilet. If you can't do that alone, get someone to help you. 4. Consider using diapers or pull-ups at night if the issue gets out of hand. But if it would interfere with the motivation to wake up and use the toilet at night then don't do it. 5. Try some home made cure by taking natural honey daily for a month (I hope it works). Whew! I guess I have nothing more to say about this. So how do you see or cope with bed wetting? 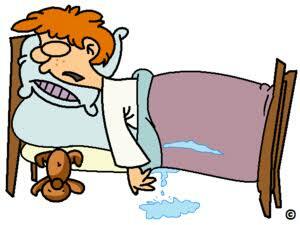 Bedwetting is a disease... Makes everyone uncomfortable and the victim devastated! I learnt this lesson ma:Wow, I love this information. Keep it up in dropping cool posts herein.